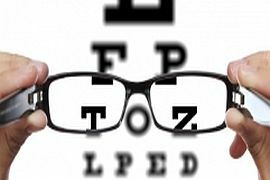 Myopic or shortsighted eyes have problems seeing clearly at distance . These eyes are anatomically more elongated than normal. This type of refractive error is quite common and is at epidemic levels throughout asia and now slowly engulfing the western world. The causes of myopia are complex ranging from hereditary factors through to environmental triggers, which are best shown in animal models. What has been demonstrated is that the eye is capable of changing shape, namely elongating under different trigger conditions. This elongation leads towards myopia and distance vision becoming blurry. Myopia can be corrected with spectacles, contact lenses, refractive surgical procedures such as LASIK or PRK,SMILE corneal stromal rings, corneal onlays and even anterior chamber implants, all carrying various degrees of accuracy, predictability and risk. We can discuss any of these with you and direct you to your solution.